Finally! A Gift I Know My Husband Will Actually Use! My husband is a simple man. He is a laid back guy who doesn’t like a fuss made over him. He is a meat and potatoes kind of guy, watches ESPN to relax and loves the heck out of his family! It is always a head-scratcher when it comes to choosing the right gift for him. This year I finally found a gift I know my husband will actually use! If you asked my husband, he would tell you he didn’t want anything for his birthday, Father’s Day or our anniversary. He will shower the family with gifts, but for himself, he prefers we don’t make a big deal out of his special day. Well, rot on that idea! We want to show him how special he is. And with Otter Pass, I hit pay dirt! My husband hates to have us spend money him so much that he will let something be on its last leg before it gets replaced. That would be the current state of his wallet! It is literally falling apart! I am pretty sure it is four years old and it is too small for his needs. 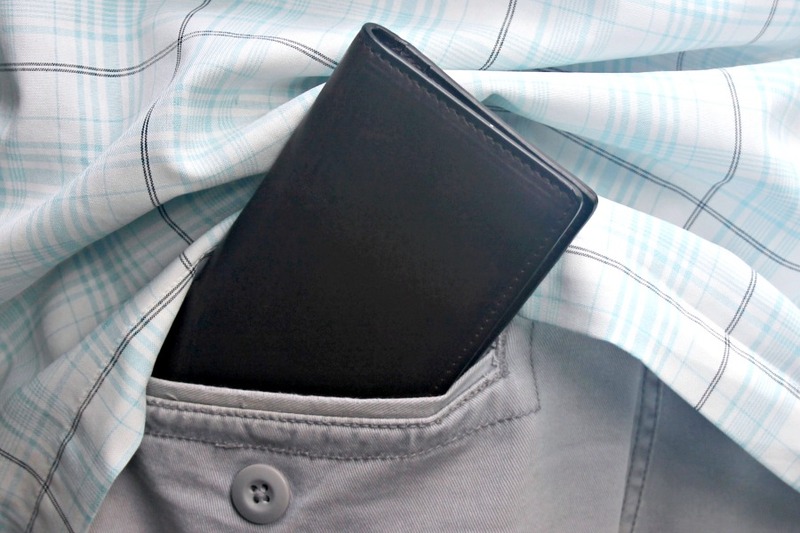 I knew he needed a larger high-quality wallet for Father’s Day. 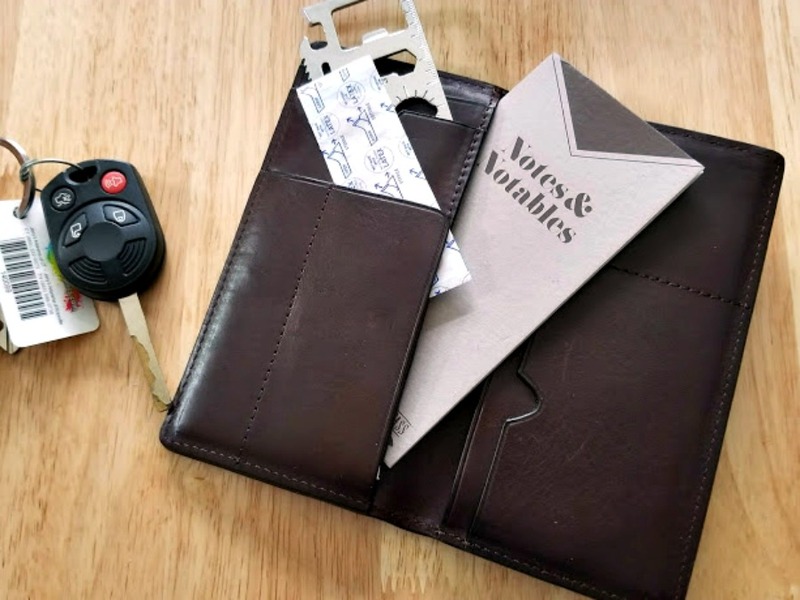 When I saw the Dad Wallet from Otter Pass, I knew it was “The One.” It is of minimalist style, which he loves and is made from a gorgeous leather and is a larger size which he desperately needed. 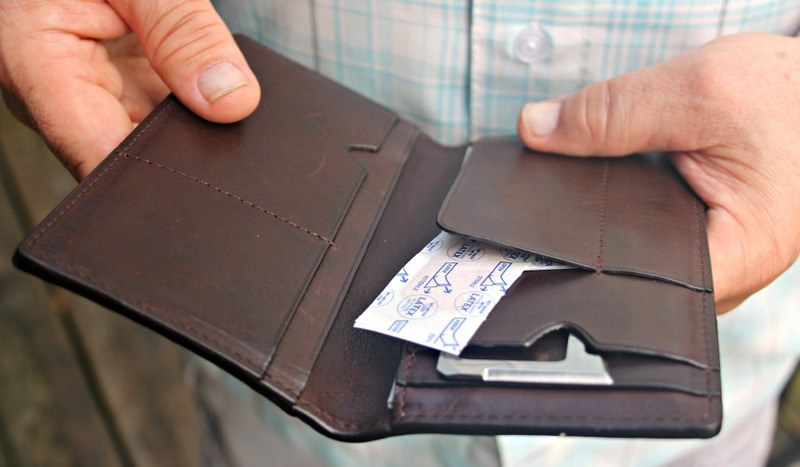 And the price fit as perfectly into my budget as this wallet will fit into his pocket! For the purpose of this review, we had an early Father’s Day celebration. I wanted Chris to have his Dad Wallet so that I could get his thoughts instead of mine. He LOVES it! He has never had a wallet that was so versatile and large enough for his lifestyle. He said he wasn’t sure what he appreciated more; all the “hiding spots” or the cool goodies his Dad Wallet came with! I could not believe how fortunate I was to find the Dad Wallet for Chris. He said it was one of the best gifts he has ever received. Win! 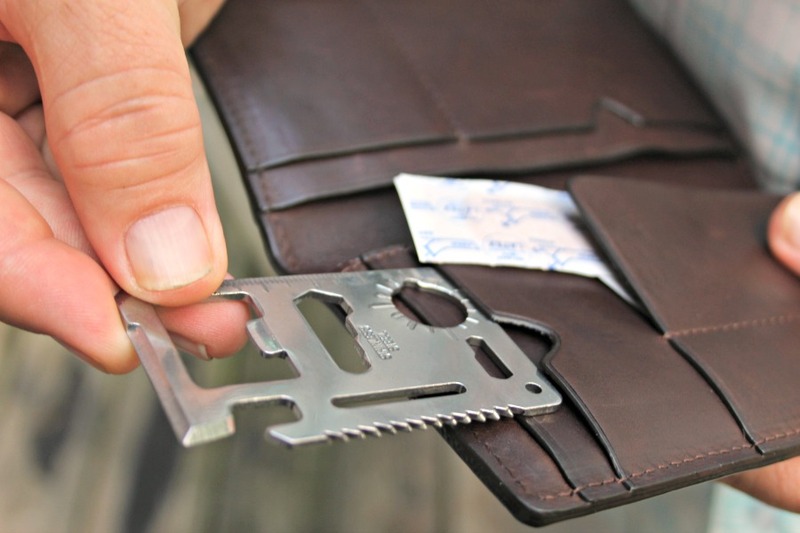 I think his favorite accessory that came with the Dad Wallet was the Swiss Army Knife Card. It is something he can do so much with. And there is room for a pen, credit cards, money, a slim notebook and even a band-aid or two! You can read more about the design process of the Dad Wallet —-> HERE.